I decided to make a new blog mirror. 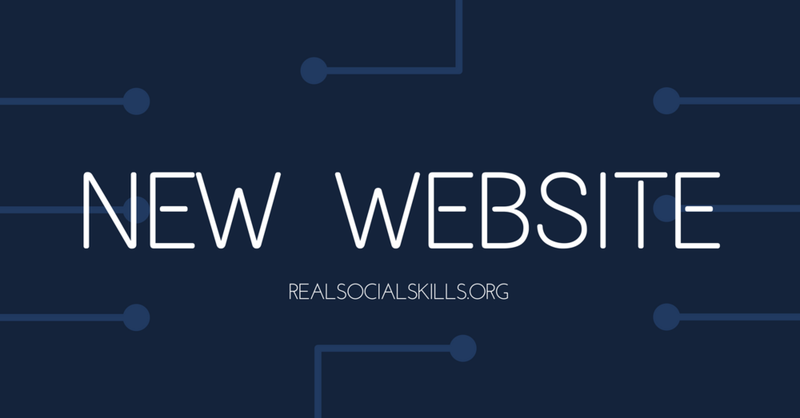 From now on, realsocialskills.org will point to this new site, and realsocialskills.tumblr.com will be the URL for the Tumblr version of this site. I’ll continue to post all of my posts to both realsocialskills.org and realsocialskills.tumblr.com. If you prefer to read via Tumblr, that will still work the way it always has. I will continue to read my Tumblr asks and submissions. I can also be reached at my new contact page. Tumblr is a great platform — for some people. Some people find Tumblr completely unusable, especially on mobile devices. Tumblr sometimes breaks accessibility features, and I want a platform I have more control over. In order to make my website useable to more people, I’m making it possible to read my content without using Tumblr. Social media sites come and go. Tumblr may shut down at some point. They also might change the interface or terms of service in ways that break my blog. If Tumblr shuts down, deletes my account, or becomes unusable, I want my blog to keep existing. Creating another blog site mirror now means that if I lose access to Tumblr for whatever reason, I won’t lose all my subscribers. Some links are probably going to break — please let me know if you encounter broken links, and I will fix them. Image description: Text "New website: realsocialskills.org"